Nose: Oh my my. Rich honeyed beehive. Clover honey, baking biscuits or maybe pecan pie, magnolia blossom, ripe cassava melon, mango and some strawberry component. A rich sweet appetizing nose with some complexity and evolution over time to hold you nosing a while. Entry is sweet with honeyed crumpets and a silky slightly viscous mouth feel. There's a nice mid-palate expansion with white pepper, malt, green melon, sweet butter, and some warm musk and floral perfume. The finish is moderately brief, gentle, and mild with little wood, but a clean and malty afterglow and a gentle flavor of toasted seeds. With extended air it becomes lushly, tropically, floral. Hibiscus, jasmine and more in a loud and riotous profusion over the juicy fruity malt. Puts me in the mind of Balvenie, but more juicy and effusively floral. A drop of water amps the sweetness up into pure whole cane sugar territory. It doesn't need it, but is vibrantly and effusively sweet if you add a drop or two. It's so lush that I highly recommend a bit of experimenting in this regard. Smooth and easy going but also rich and full of character. Luscious. Youthful, sweet, intensely feminine. Just lovely. High four star - almost five. So how does Suntory achieve this amazing flavor profile? According to the .pdf fact sheet I received from Exposure, "Hibiki is created from a selection of pure single malt whiskies, aged in various types of casks, including Mizunara, a very rare Japanese oak" elsewhere it says "Hibiki’s soft yet complex taste profile is created from unique bamboo charcoal filtering and plum liqueur cask maturation." Charcoal filtering is pretty unusual - but anyone who has tasted Jack Daniels Tennessee whiskey knows it produces a softness. However it's not usually associated with such density of flavor. Presumably the component whiskies are Yamazaki and Hakushu, Suntory's two distilleries. I'll be tasting 12 year old expressions from those two next - with great anticipation. 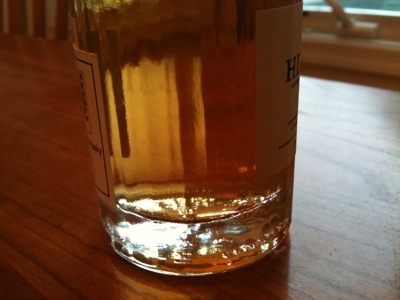 Plum liqueur cask maturation is also unusual in my experience. No doubt it has a significant impact on the tropical fruits and floral aromas and feeling that bless this excellent whisky. Bravo, Suntory. A home run. We've had this bottle in our midst on several occasions and let me tell you, your review is spot on! This is an absolutely fabulous and beautifully balanced whisky. 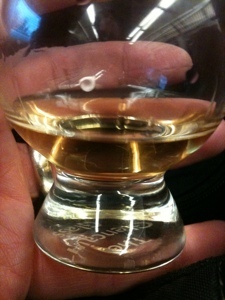 Single Malt / Smingle Malt. This stands up against the best of them. I just wish that I could describe it as eloquently as you did. Great stuff! Look forward to hearing what you have to say about the Yamazaki. Also a favorite amongst the Booze Dancers. Thanks so much for the kind words G-LO and thanks for dropping by. It seems everyone has been drinking and enjoying this while I was whistling Dixie. I'm aiming to explore Japanese whiskies much more deeply now. This was a conversion experience. No need to thank me! You're a damn good writer. Hopefully I'll learn a few things and improve as I go along. I have oodles of room for improvement. I haven't had many Japanese whiskies, but what I've had I have truly enjoyed, i.e. 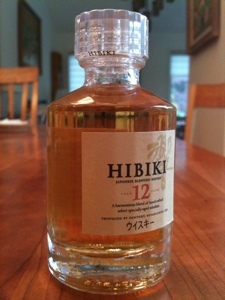 Yamazaki 12 and 18, Hibiki 12, and Nikka Whisky from the Barrel. There's a reason they win so many awards. They make fabulous whisky! If only we had access to more of them. Hibiki 12 is great, but what is truly incredible is the 17 and 21 year olds, but unfortunately both are not distributed in the United States. I have had them though and the 17 is one of my all time favorites and shatters the myth that blends are inferior to single malts. Thanks, Jason. I'm currently trading with other whisky enthusiasts overseas to get samples of the 17 and the 21. I'm anxious to try them after the amazing things I've heard. I'm a huge fan of your blog and read it assiduously. Your post today on Amrut Fusion was fantastic. Great tasting notes and sense of humor. FYI - I mention your "slow whisky" credo on my recent article on http://www.whiskyforgirls.com/ It continues to resonate with me and improve my enjoyment of whisky.